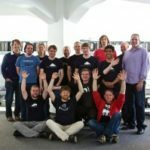 In a few weeks, the final release of ownCloud 7 will hit the web. In this and a few upcoming articles you can learn about some of the upcoming features. This article will focus on an improvement to one of the most core capabilities of ownCloud: sharing. Sharing photos, documents and other data has never been easier. With millions of users on Google, or Dropbox – and others — it is easy to share and collaborate with others within these public clouds. The downside is that we give up ownership and control of this data, not just to the cloud companies but their customers who buy this data (and their governments who subpoena it). Private clouds give you back control over your data. You again know where it is and control who has access by creating user accounts or using sharing links. But they aren’t very convenient beyond our own clouds. To share documents with other students at university, they have to log into your cloud. And if you want to see the images your mother took of that awesome cake she’s teasing you with, you have to log into her cloud. The privacy comes at a cost – you are less connected. 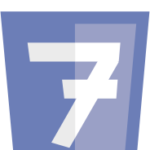 ownCloud 7 introduces server to server sharing – allowing you to mount a share from another ownCloud instance and seamlessly collaborate on and share files from within your own ownCloud – essentially combining private clouds into a public cloud. You can even have the folder locally synced through the client. No need to create user accounts on your or the other instance – just, once, add the shared folder into your ownCloud. This massively improves collaboration. To have your class mates connect to your ownCloud server, send them a shared folder link in the usual way. Instead of then having to visit your ownCloud each time, they can opt to click the ‘save to ownCloud’ button and add the folder to their own ownCloud instance. Then they can add this folder to the list of locally synced folders in their sync client and work with you and each other on the files in that folder as if it were on their own ownCloud server! This is a great, first step to make sharing between servers more seamless and practical. We’re obviously looking forward to help with future steps – sharing users between instances, for example! If you’re interested in working on this, join ownCloud! This is amazing, this really opens up the game and puts ownCloud on another league. Thank you guys for working on such a great project! We’ve made a lot of improvements to the updater. If you want to make sure it works in ownCloud 7, I suggest you try to test it and report any bug you run into so we can fix what doesn’t work for you! Über-cool! This really proves that you people not only work but also think hard about what a personal cloud really should be. Congratulations and keep up the good work, thanks! Thank you for the kind words, Stefan! Hi guys, very good job. It seems to work very smoothly. Two things I was always missing are the possibility to switch to thumbnail view when i am administrator and the missing file name and ticking box to select pictures when the are shown at big size. Maybe you can improve on that? But anything else is very very cool. Thx for your great work guys. Thanks for the nice words. I recommend you file feature requests on github so these things are not forgotten! You can do that on http://github.com/owncloud and look for the app you want to file an issue for, then click it and search for ‘issues’. There you can add one. See http://owncloud.org/contribute for some more information! Second, I would like to ask something. Is that possible to share photos or something from the web server itself without re-uploading them to it again? I mean, my web server is my file server as well, and it would be great if I could be able to share the photos I already have in it with provide the access path or something for the application and the share would be updated every time I upload something new into that folder. Yes, this is possible: add the folder with images as ‘external storage’ and you can keep modifying the files on it from underneath it while showing them in the web UI.